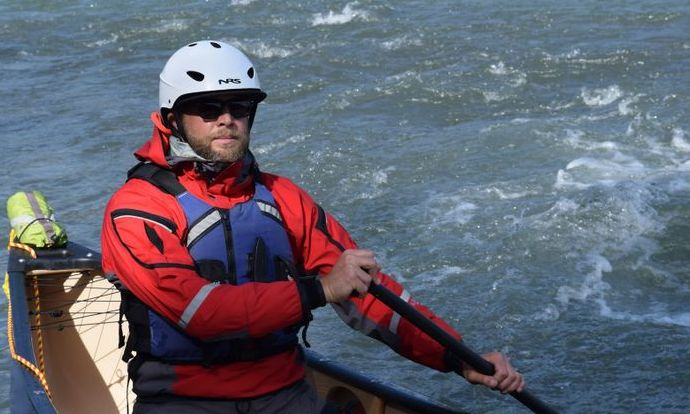 Growing up paddling in Ontario’s vast lake country, Mark began his passion for wilderness canoeing at age 10. 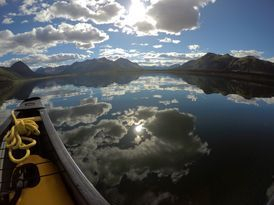 Spending his youth at summer camp, first as an avid participant on lake and river trips, and then as a leader and guide on those same lakes and rivers, wilderness has always been synonymous with reflection, connection and discovery of place, others, and self. This is where Mark grasped the value of a learning orientation to wilderness travel - namely, how to work on goals toward a personal and larger end. As a young adult, Mark moved his love for wilderness travel out to the Canadian Rockies working for YMCA Camp Chief Hector as a hike, canoe and horse instructor for 7 summers. Mark was the director of a unique and award-winning leadership wilderness program run from a remote mountain site on the north-eastern border of Banff National Park. There, Mark held training, guiding, and programming responsibilities for 10 staff, 32 participants, and 20 horses. Mark directed 30-day sessions focused on personal growth and the development of strong backcountry skills through wilderness living and travel. Participants explored stunning landscapes within a supportive community to develop leadership together. Mark brought a commitment to see participants have fun while learning and to develop positively in an informed, reflective, and creative setting. At Camp Chief Hector Mark also co-guided a 65-day western arctic river expedition focused on river travel, leadership, cultural awareness, and the fostering of community relations with the diverse Dene, Gwich'in, Sahtu and Inuvialuit communities along the river. This trip was transformative for both staff and participants alike. Mark trained as a lawyer in British Columbia studying Aboriginal law and working for the Attorney General of British Columbia on the Tsilhqot’in Nation case, now the leading Aboriginal rights and title case in Canada. Mark has taught senior courses in law, economics, and history at a downtown Toronto high school for the past 10 years. In July of 2015, August of 2017, and this past August, Mark was part of the Elements Adventure Company team that guided the Upper Stikine River wilderness canoeing adventure. An example of personal growth on this trip was Mark’s realization that it is important to create choice for participants when guiding adults in remote wilderness. Providing choice helps to initiate action, helps participants solve problems, and helps to create a respectful, caring, creative, and challenging environment we all want and expect.